The experimental realization of ultrathin graphene - which earned two scientists from Cambridge the Nobel Prize in physics in 2010 - has ushered in a new age in materials research. TMDs could realize topological superconductivity and thus provide a platform for quantum computing - the ultimate goal of a Cornell research group led by Eun-Ah Kim, associate professor of physics. "Our proposal is very realistic - that's why it's exciting," Kim said of her group's research. "We have a theoretical strategy to materialize a topological superconductor ... and that will be a step toward building a quantum computer. The history of superconductivity over the last 100 years has been led by accidental discoveries. We have a proposal that's sitting on firm principles. "Instead of hoping for a new material that has the properties you want," she said, "let's go after it with insight and design principle." Yi-Ting Hsu, a doctoral student in the Kim Group, is lead author of "Topological superconductivity in monolayer transition metal dichalcogenides," published April 11 in Nature Communications. Other team members include Kim Group alumni Mark Fischer, now at ETH Zurich in Switzerland, and Abolhassan Vaezi, now at Stanford University. 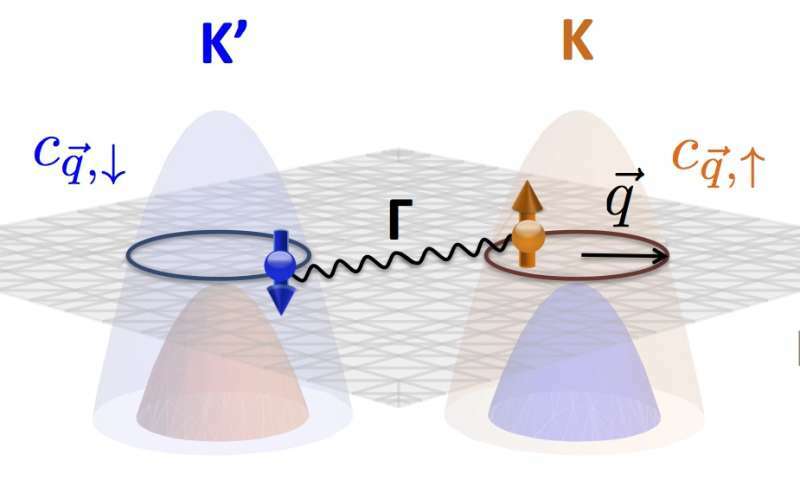 The group's proposal: The TMDs' unusual properties favor two topological superconducting states, which, if experimentally confirmed, will open up possibilities for manipulating topological superconductors at temperatures near absolute zero. The group's goal is a superconductor that operates at around 1 degree Kelvin (approximately minus 457 Fahrenheit), that could be cooled with liquid helium sufficiently to maintain quantum computing potential in a superconducting state. "If you get to 40 qubits, that computing power will exceed any classical computers out there," she said. "And to house a 40-qubit [quantum computer] in cryogenic temperature is not that big a deal. It will be a revolution." Kim and her group are working with Debdeep Jena and Grace Xing of electrical and computer engineering, and Katja Nowack of physics, through an interdisciplinary research group seed grant from the Cornell Center for Materials Research. Each group brings researchers from different departments together, with support from both the university and the National Science Foundation's Materials Research Science and Engineering Centers program.